Bhagwati's Vata Patra made from patra leaves and chickpea flour are ready to slice and use as per favourite recipe. 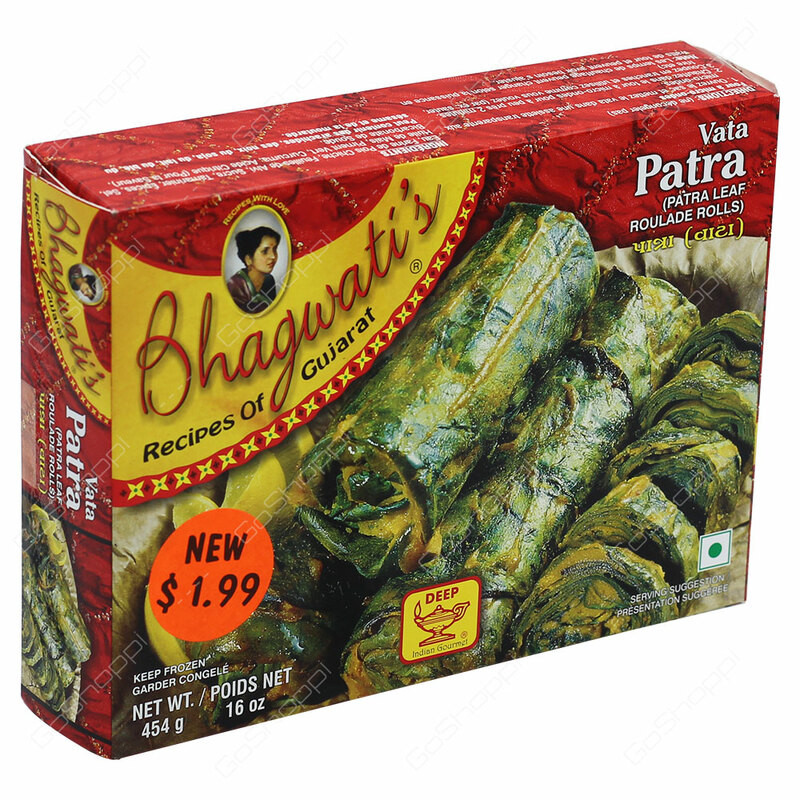 Patra is a very famous Gujrati snack made with colocasia leaves. It contains water, chick pea flour, alvi leaves, sugar, tamarind, spices, salt, corn oil, green chilli, turmeric and citric acid.